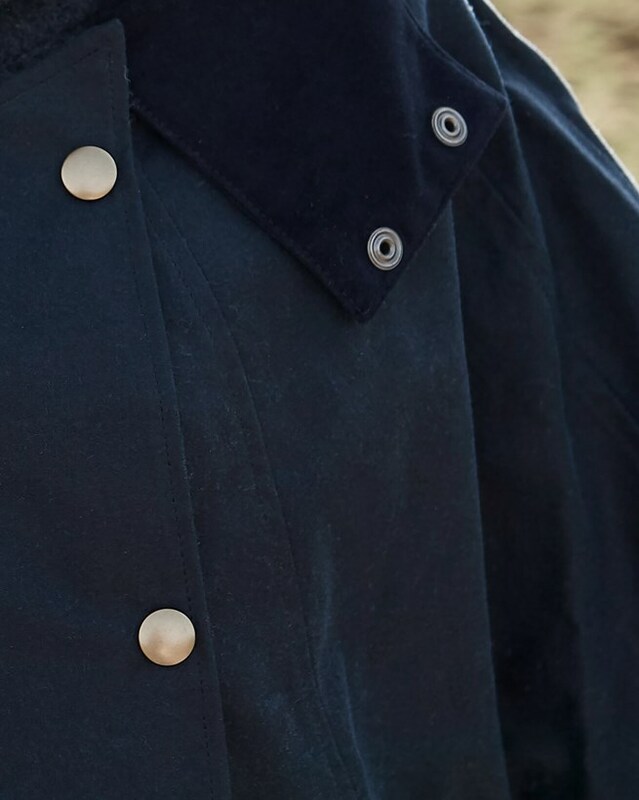 A fun yet practical British Millerain waxed cotton cape. 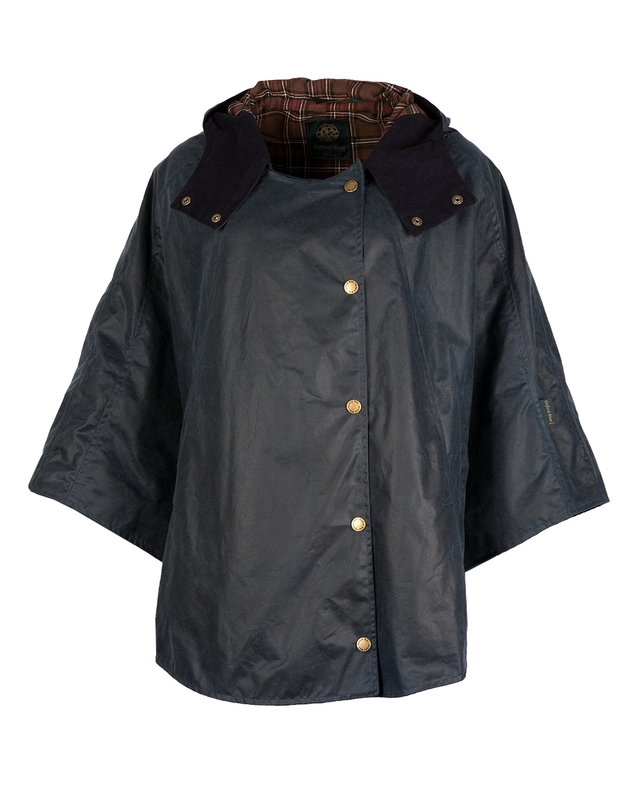 With waterproof fabric, two pockets, storm flap collar, popper fastening, hood, and split sides. Ive been waiting for this cape to return as dithered as to whether to buy it or not last year and missed out in the end. Although im only 5 ft 4" i went by the size guide and found myself just in the 12-14 medium category- usually i wear size 10- i was worried it may swamp me. On putting it im pleased i chose the medium. Theres plently of room for a chunky jumper underneath and because there are no shoulder destinctions/seams it dosnt look too big width wise. My last celtic wax jacket is still going 9 years on but im v pleased with my upgrade especially cos it has a hood! 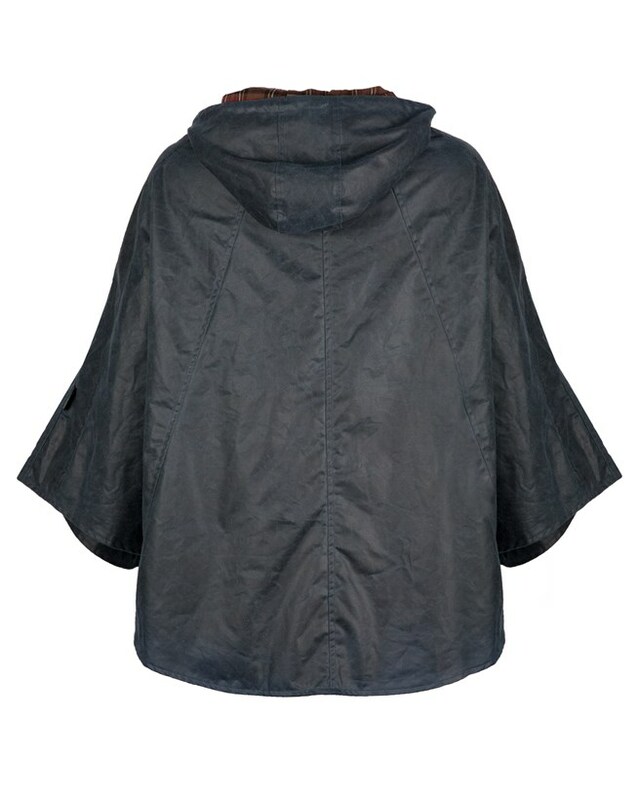 I love this cape, so warm snuggled in it and really stylish. 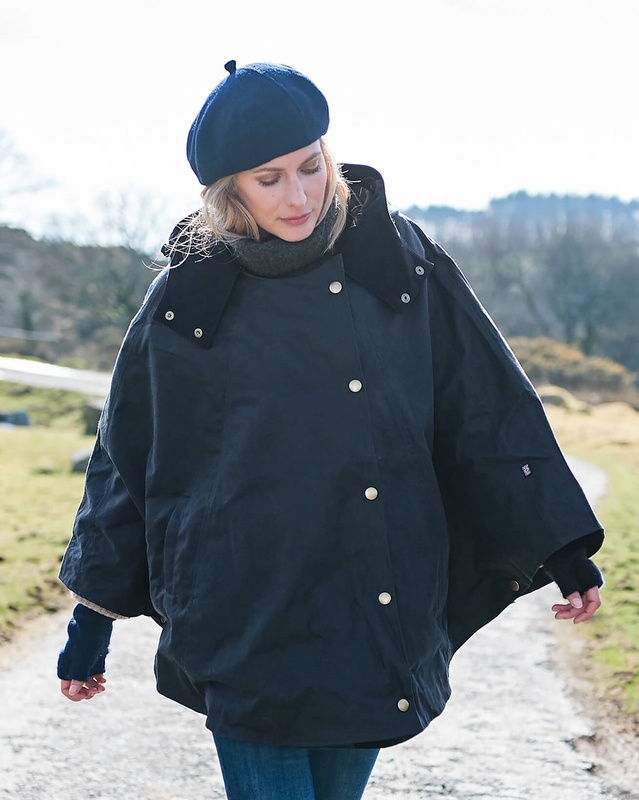 It is versatile and can be worn with chunky jumpers with wide arms. Very happy thanks Celtic .